For the absolute maximum of potential, power and musical creativity, KOMPLETE 8 ULTIMATE gives you the entire range* of KOMPLETE Instruments and Effects — no exceptions. 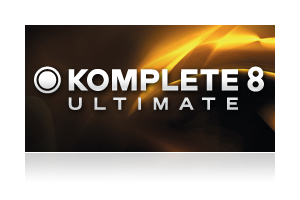 KOMPLETE 8 ULTIMATE is the premium bundle for modern music production, live performance, and sound design, and the last word in NI excellence. KOMPLETE 8 ULTIMATE weighs in at 240 GB of premium sound content - which is why it comes on its own dedicated, sturdy USB 2.0 drive. 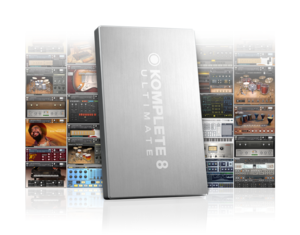 Setup everything in one go, by simply installing KOMPLETE 8 ULTIMATE to your chosen internal or external drive. 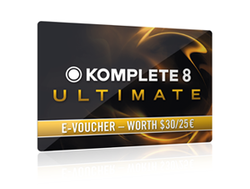 Without the lengthy DVD installation process, you can have KOMPLETE 8 ULTIMATE up and running easily. 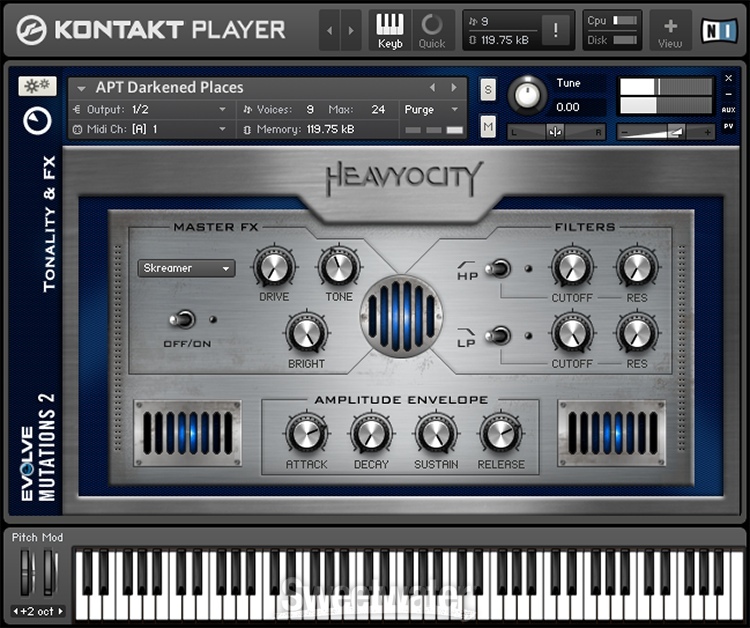 KOMPLETE 8 ULTIMATE offers incredible value for money. 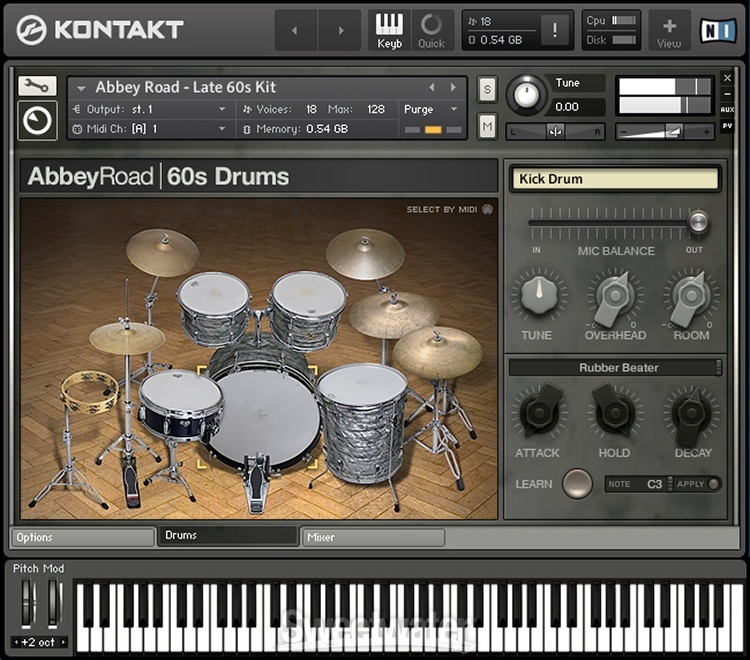 The bundle is priced at $1099 / 999 € for all 50 products, compared to $6,350 / 5,530 € if each product was bought individually. 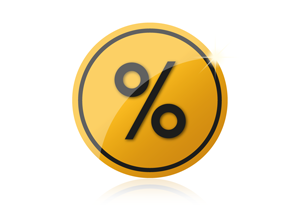 That's a saving of over 80 percent! 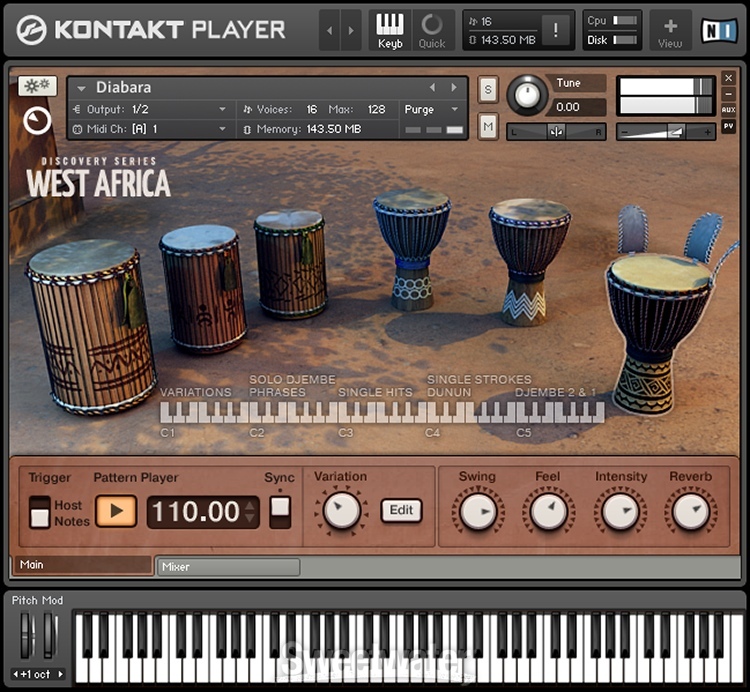 KOMPLETE 8 ULTIMATE has got it all – but Native Instruments is constantly releasing exciting new products. 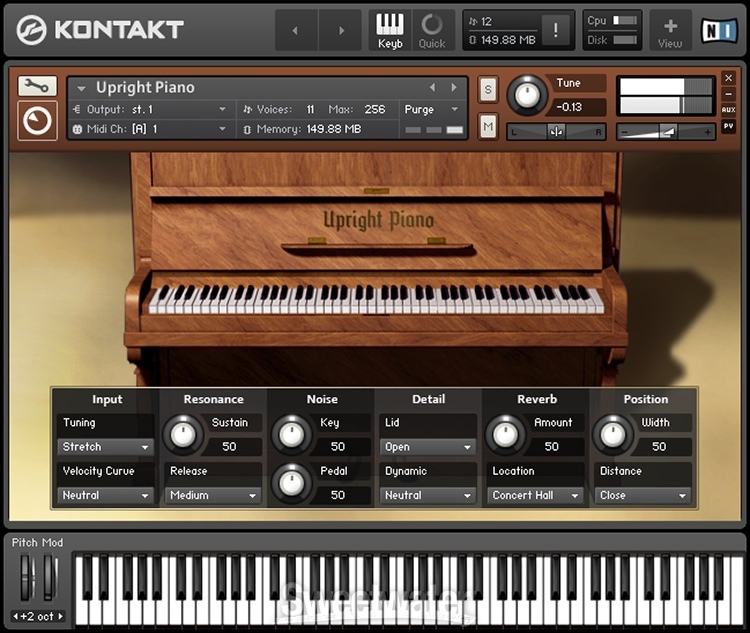 That’s why when you register KOMPLETE 8 ULTIMATE, you will receive a $30/25€ e-voucher towards any additional KOMPLETE Instrument or Effect. 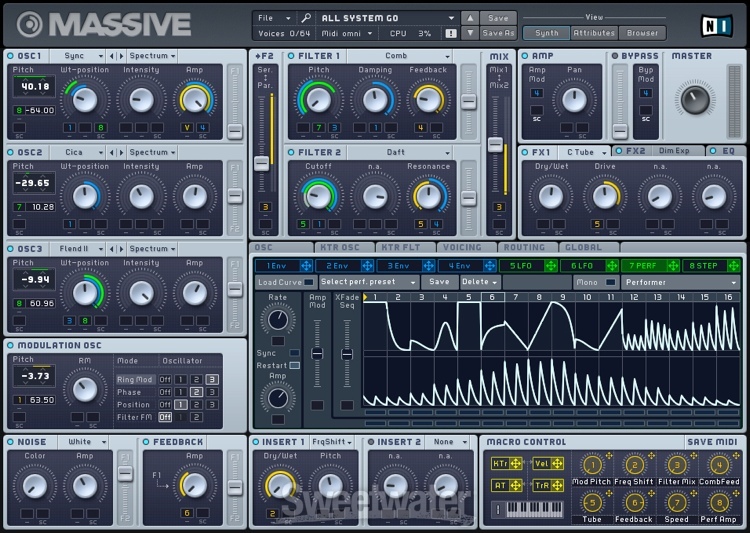 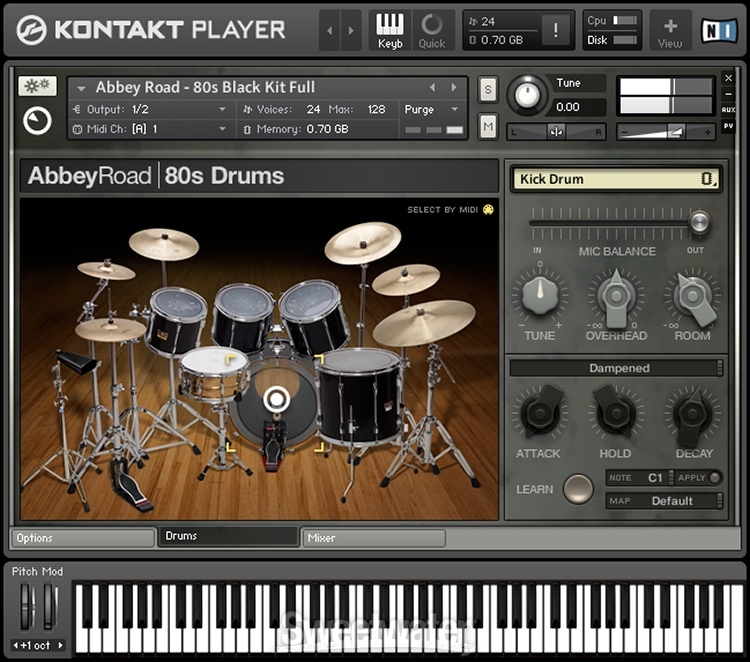 KOMPLETE 8 ULTIMATE is fully integrated with MASCHINE, the groove production studio from Native Instruments. 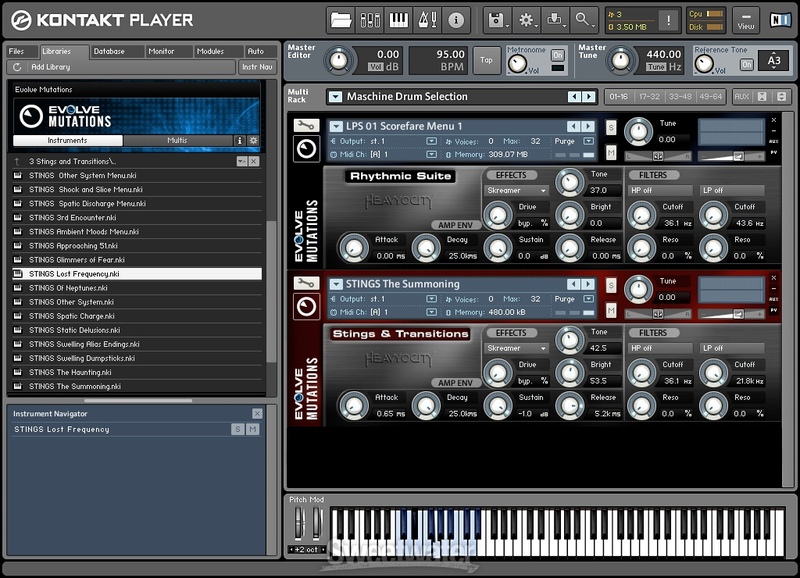 Instantly load any of the instruments or effects from KOMPLETE 8 ULTIMATE (or any other VST or AU plug in) into your MASCHINE project for complete real-time control. 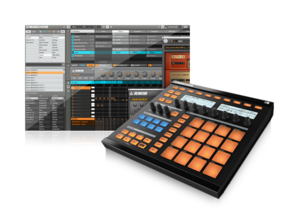 Together, MASCHINE and KOMPLETE 8 ULTIMATE make a powerhouse partnership for any studio. 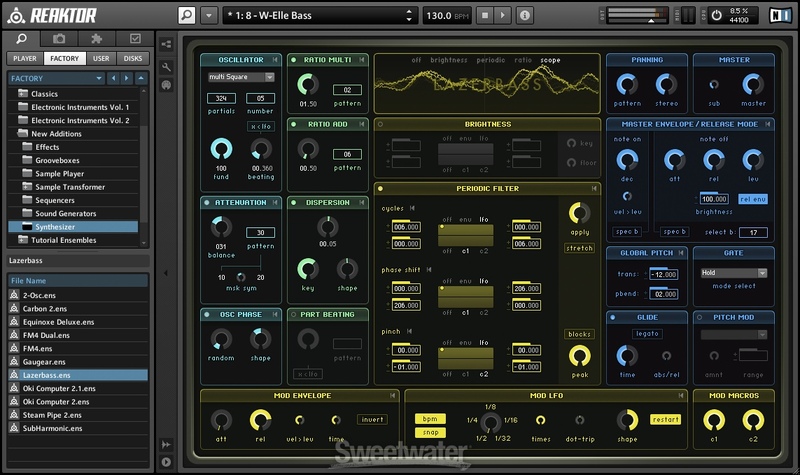 This is it - all of the instruments, effects, processors, and other goodies you've always wanted - all on a single hard drive. 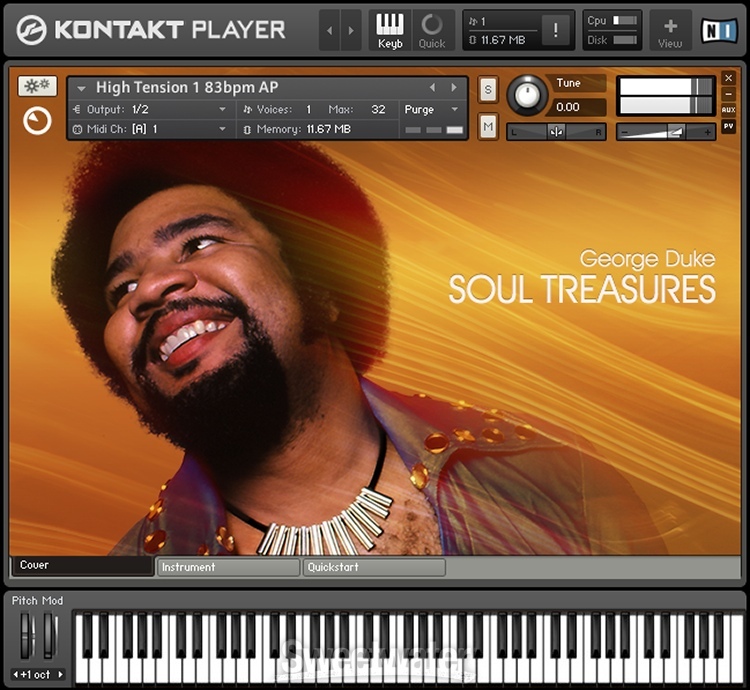 Komplete 8 Ultimate gives you a premium collection of Native Instruments's top 50 musical tools. 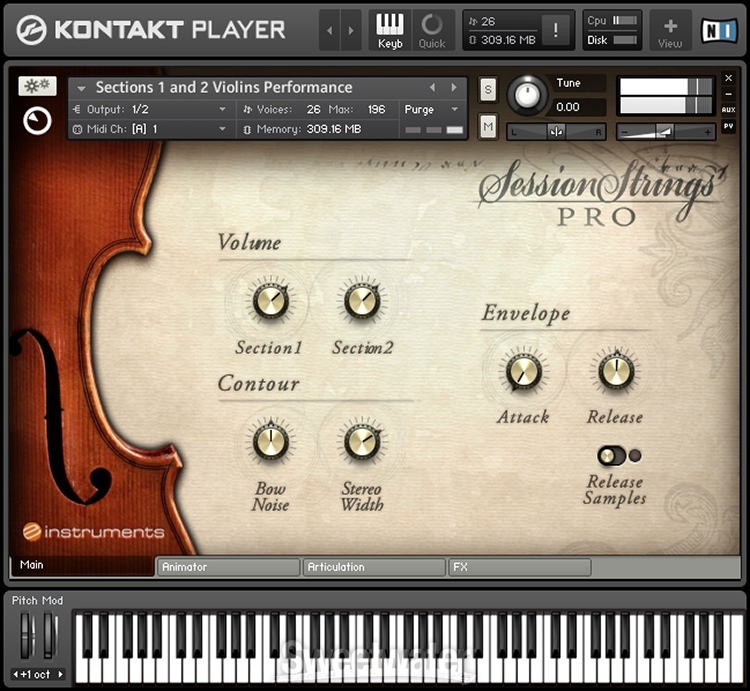 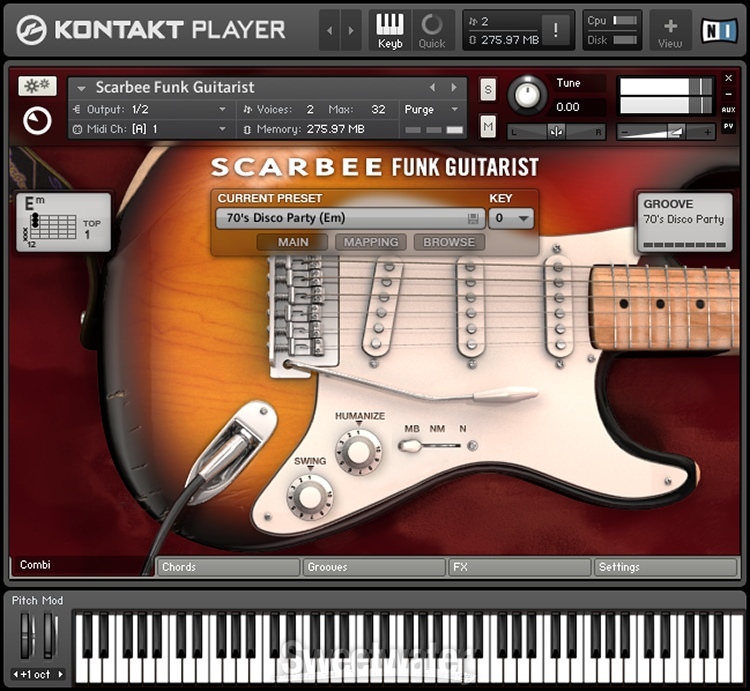 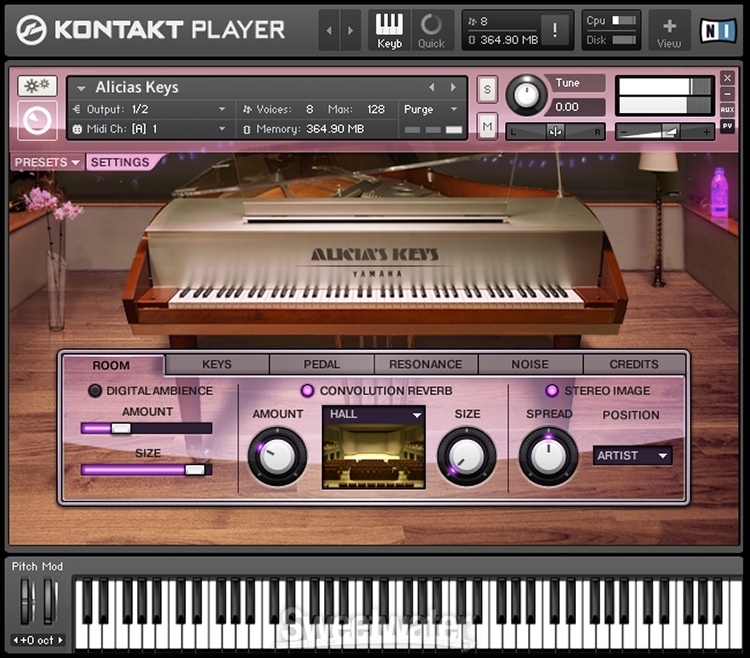 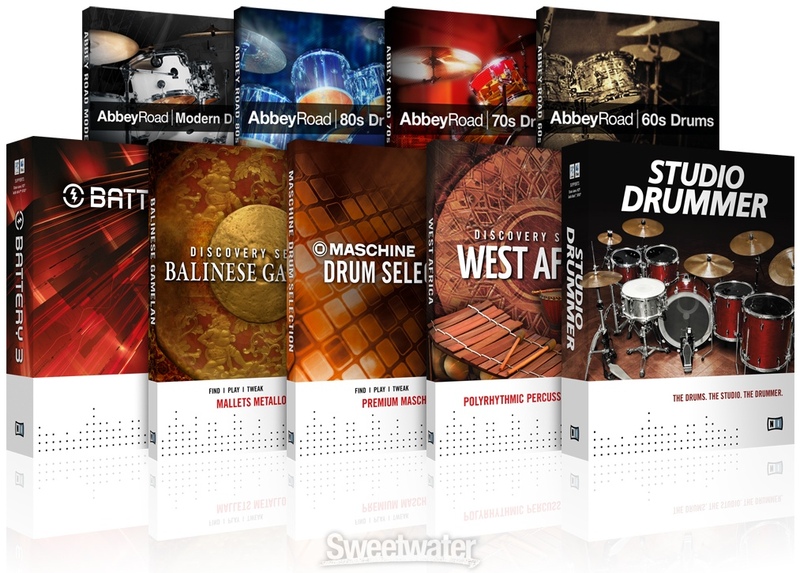 From the industry-standard guitar effects software, Guitar Rig 5 PRO, to creative new processors such as The Mouth, to powerful instruments including NI's flagship KONTAKT 5 sampler, REAKTOR 5.6., Session Strings PRO, and Alicia's Keys - Komplete 8 Ultimate covers all of your musical basses. 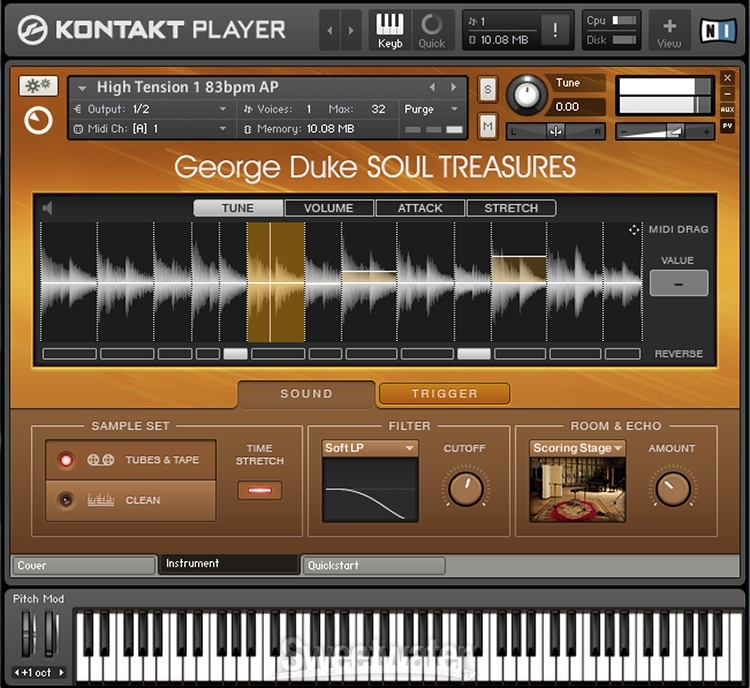 What's more, you get a dedicated USB 2.0 hard drive preloaded with all 240GB of content included in Komplete 8 Ultimate. 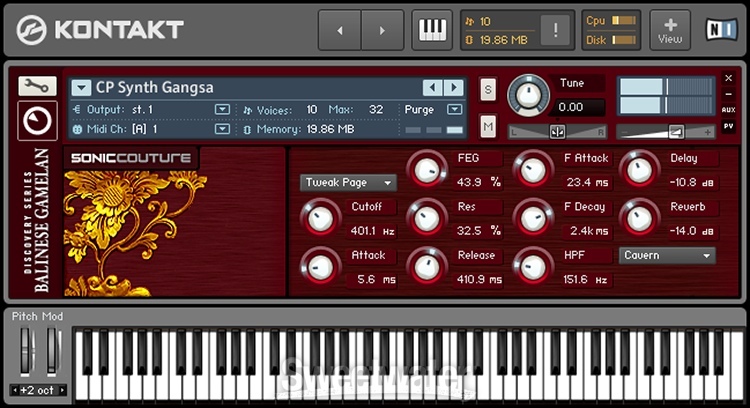 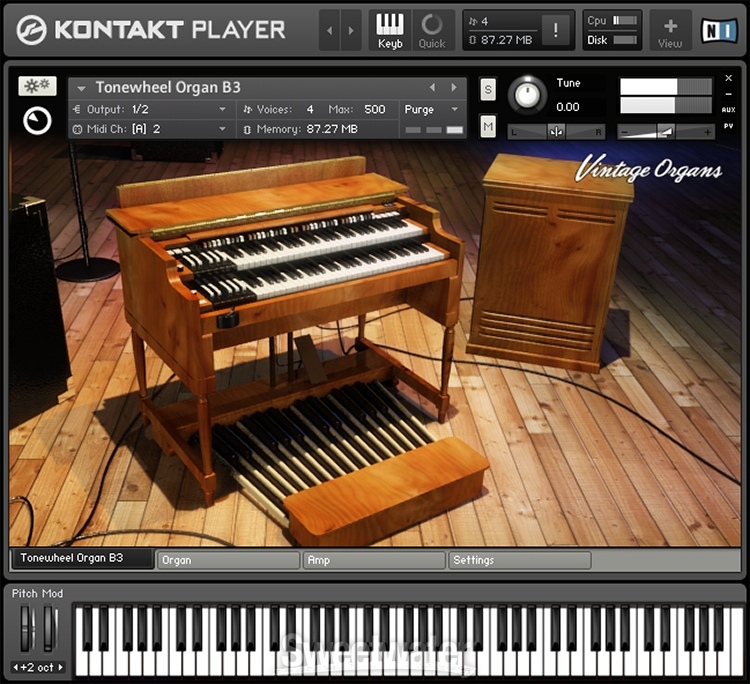 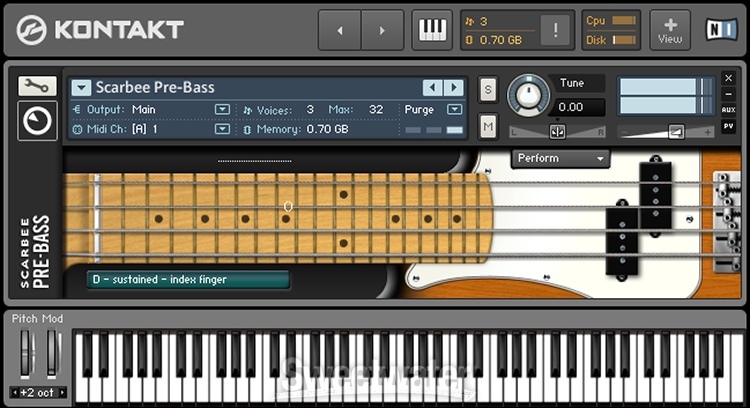 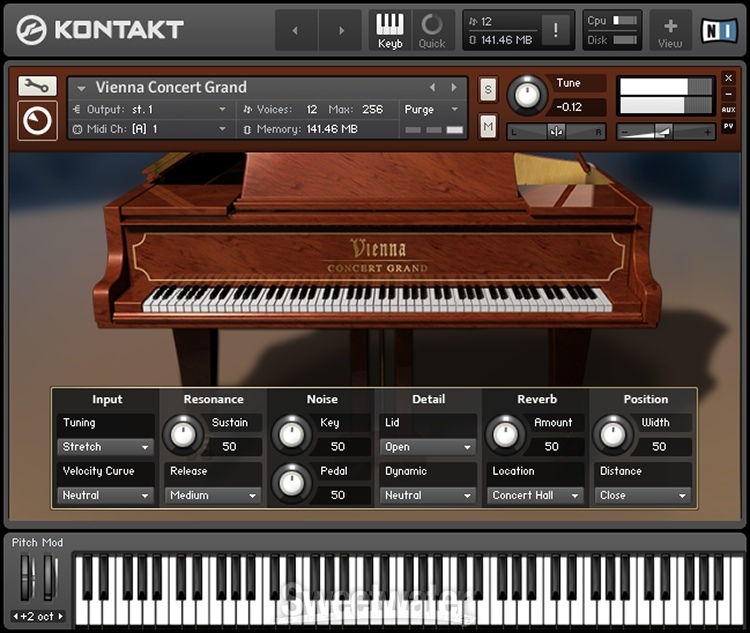 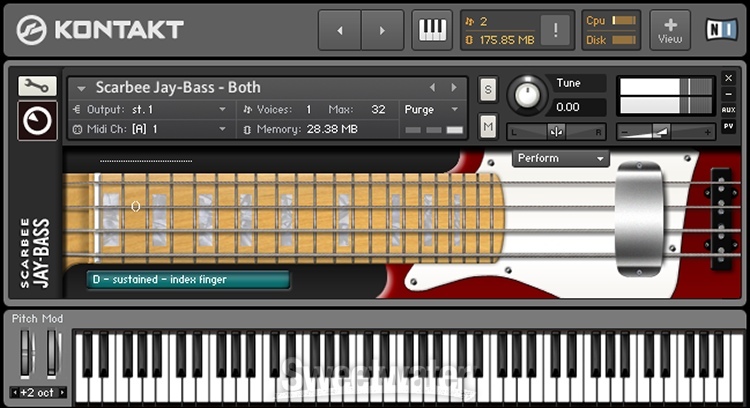 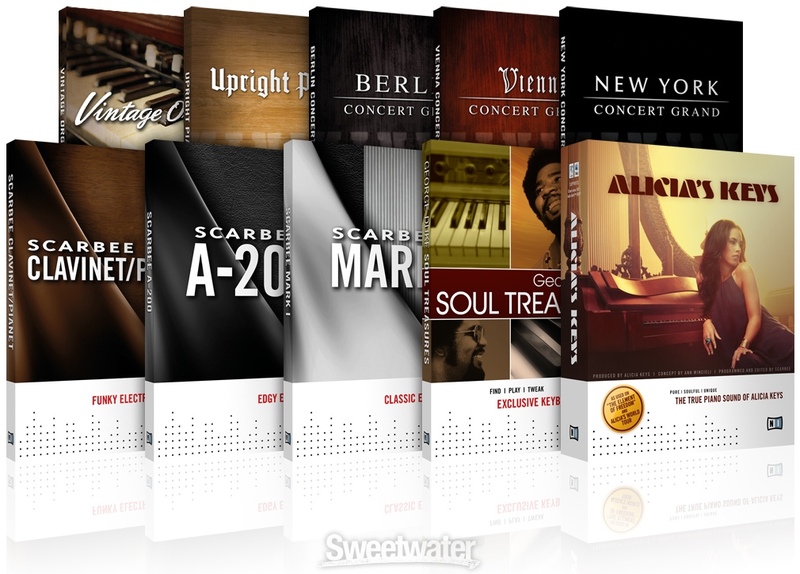 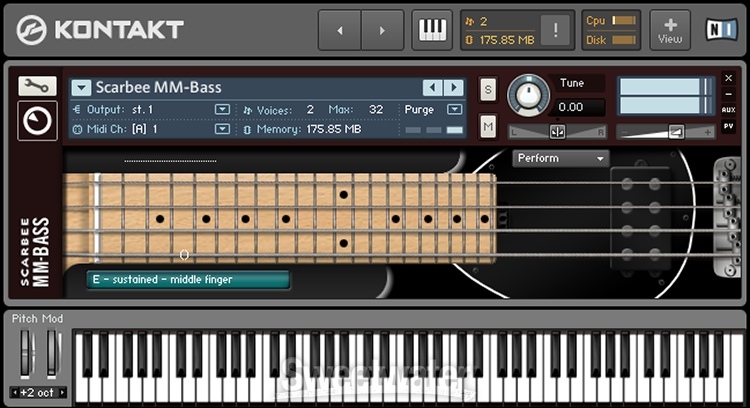 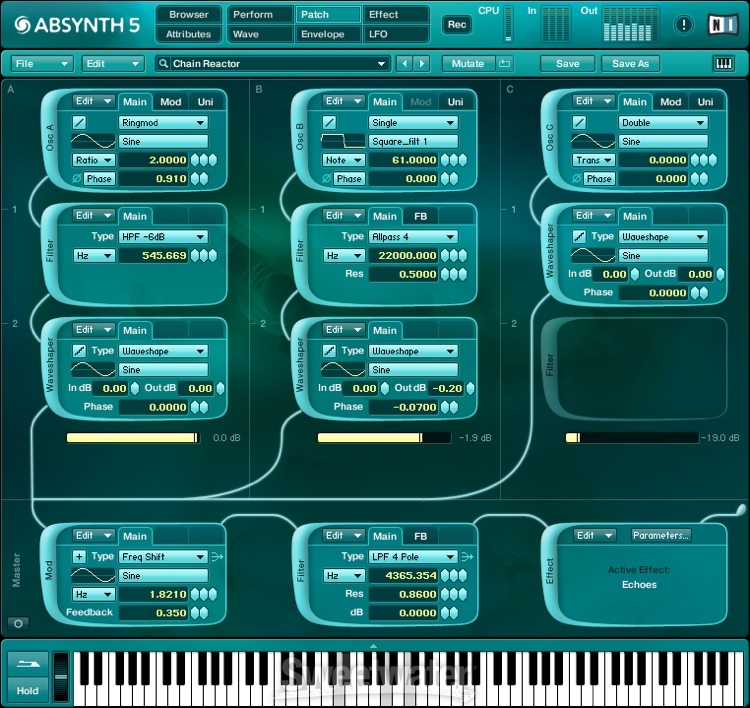 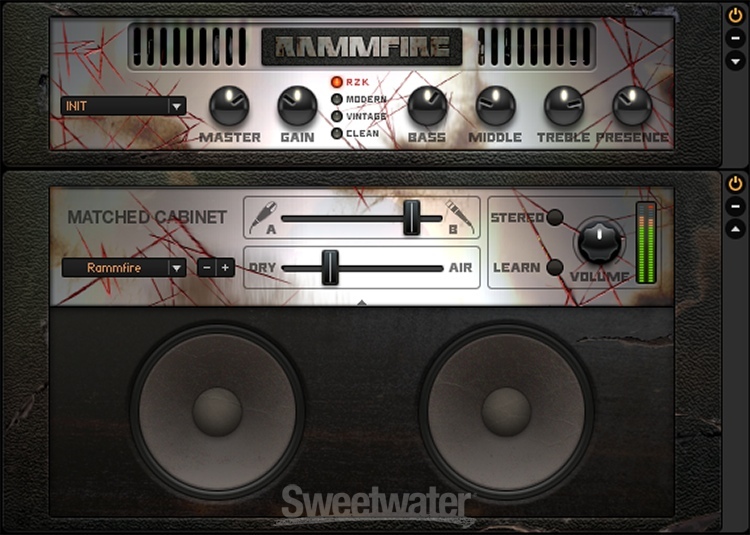 All of the virtual instruments you could wish for - and more! 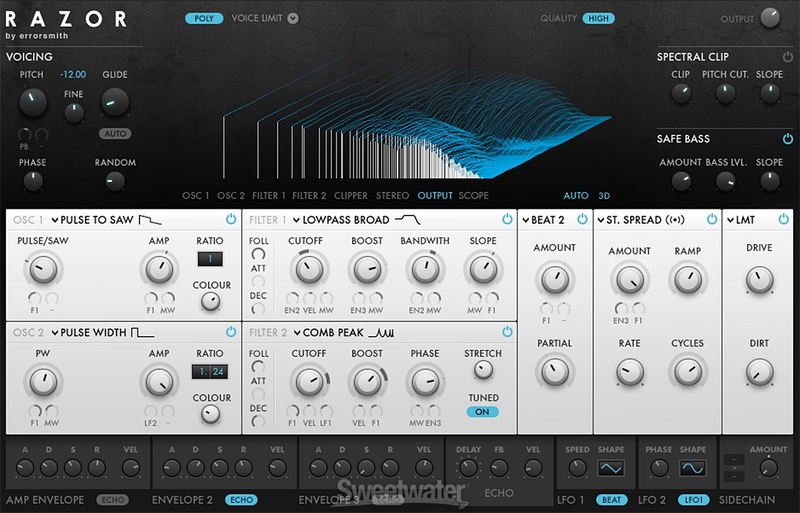 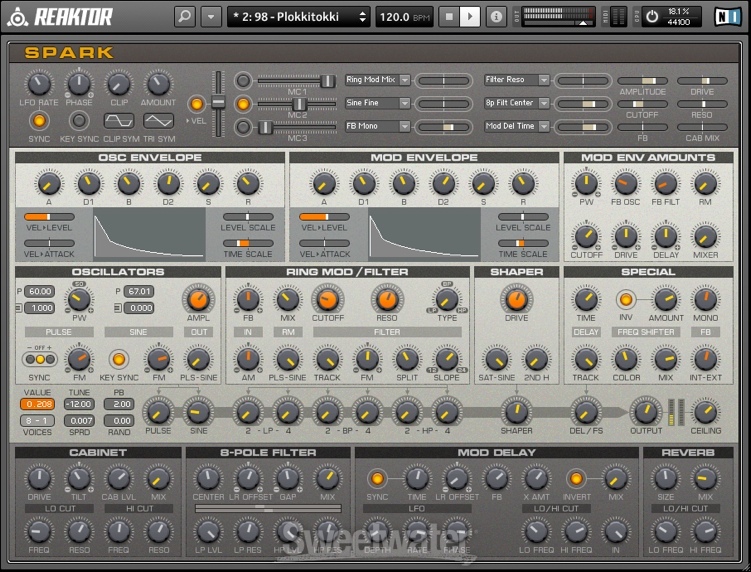 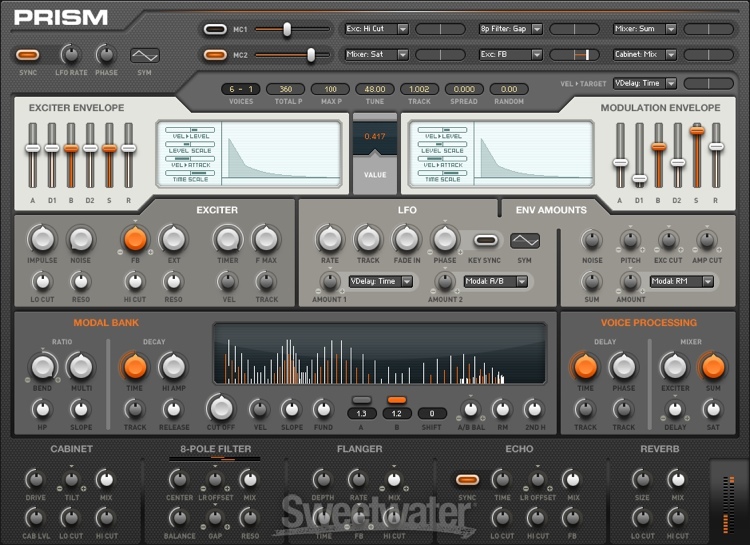 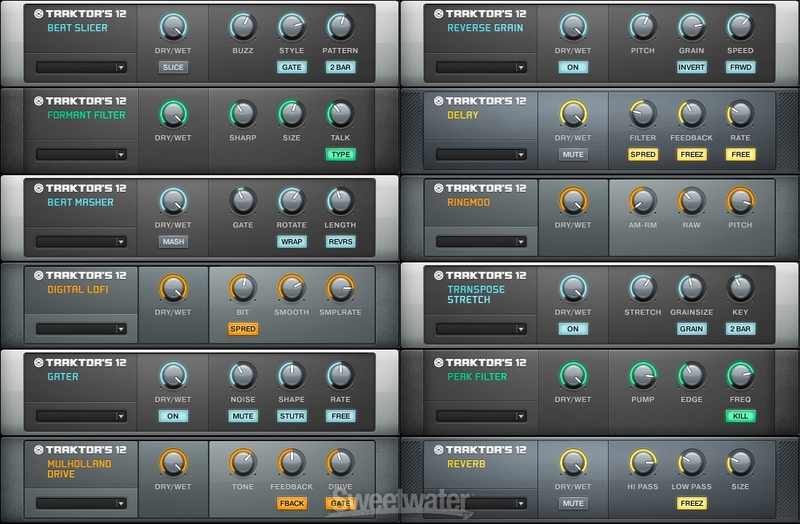 Between Native Instruments's KONTAKT 5 sampler and REAKTOR 5.6. sophisticated modular synthesizer, you already have thousands of instrument sounds, right out of the box. 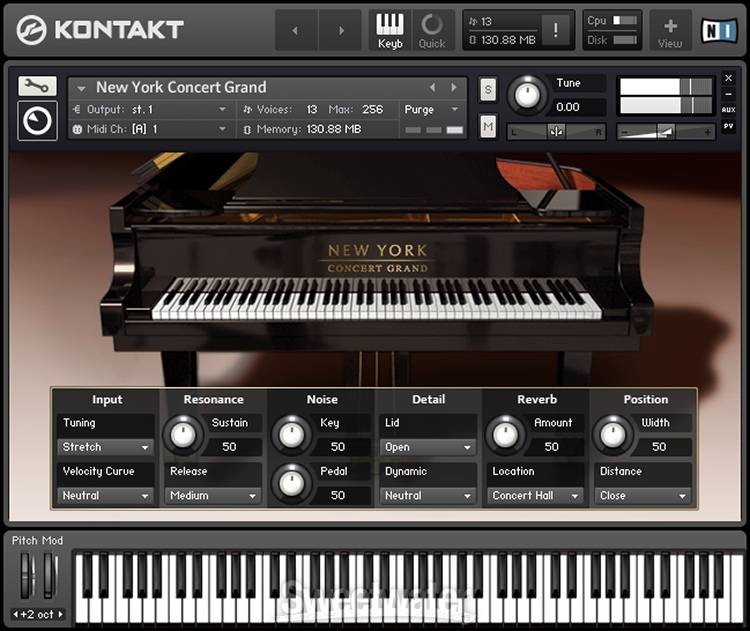 But with Komplete 8 Ultimate, these flagship virtual instruments are only the beginning. 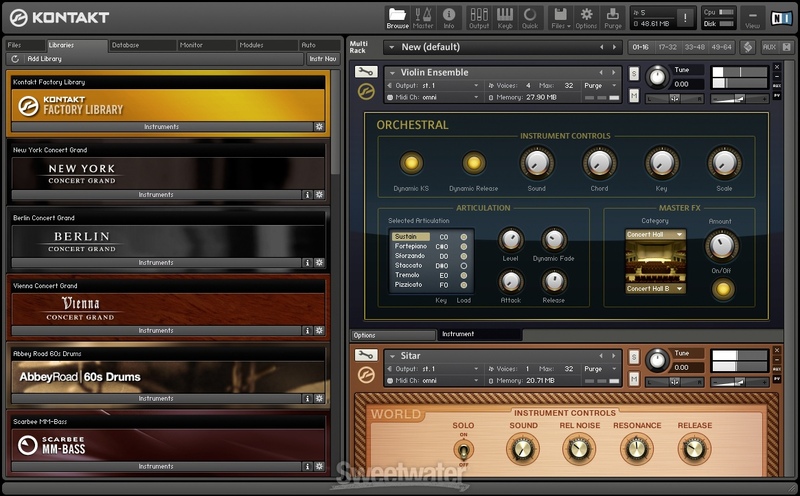 Additional highlights include synths such as NI's innovative RAZOR and MASSIVE advanced analog-style, plus acoustic instruments such as Session Strings PRO, Studio Drummer, Alicia's Keys, and SCARBEE's bass and guitar instruments. 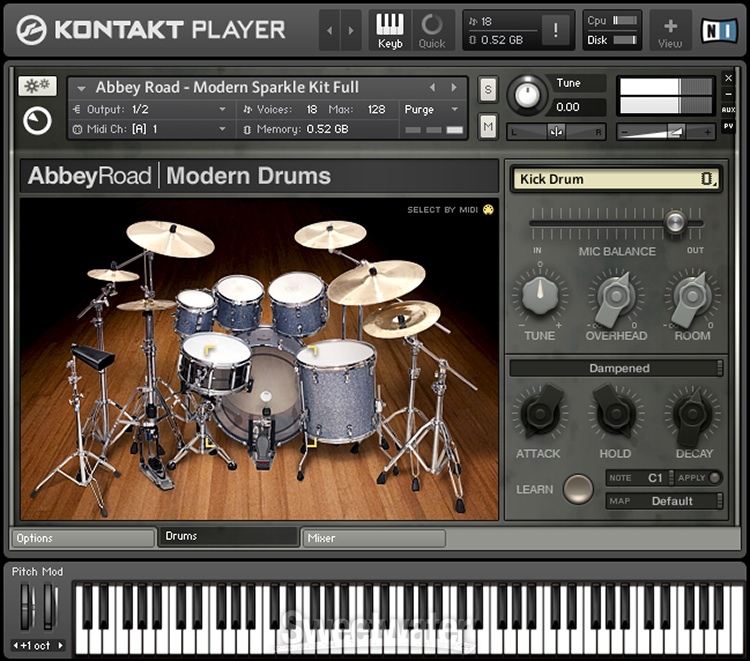 No musical style is out of reach when you have Komplete 8 Ultimate! 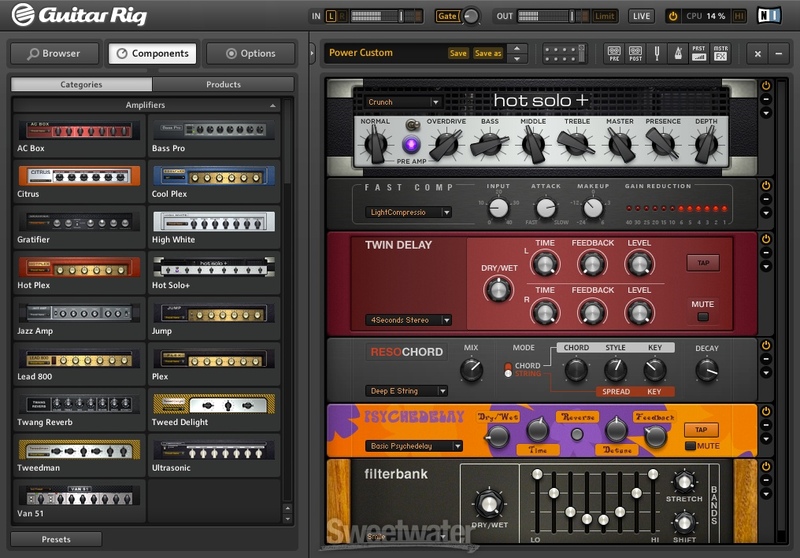 Native Instruments has been a long-time leader in effects and virtual processor design, breaking ground with processors such as Guitar Rig. 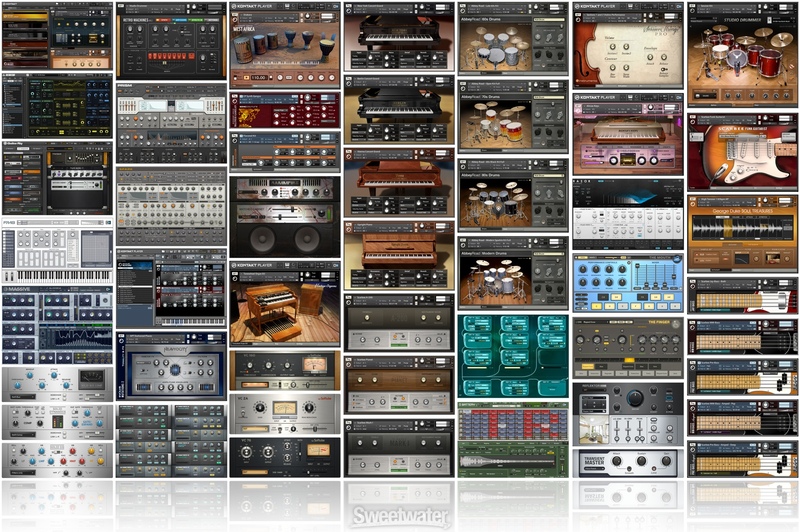 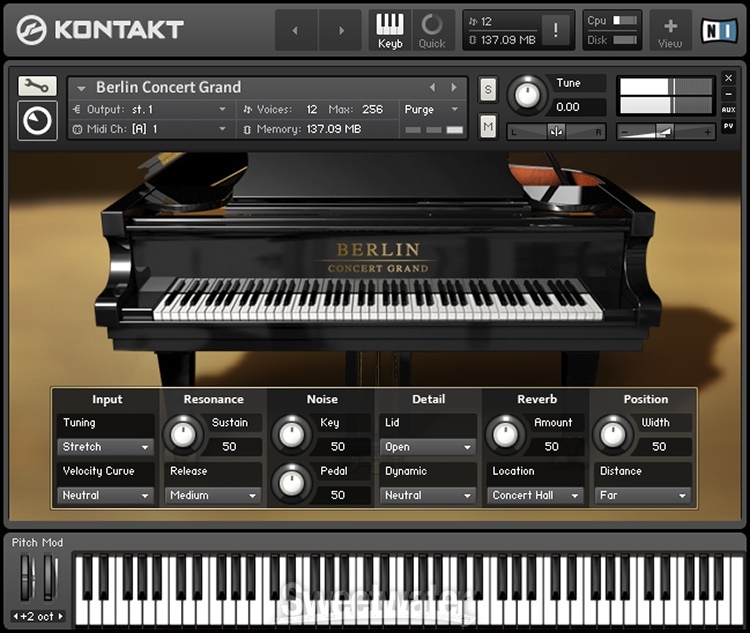 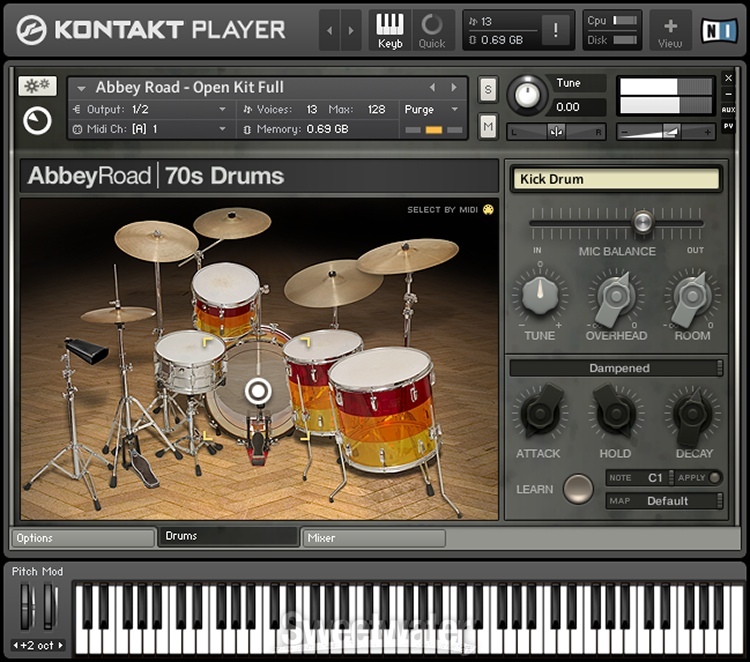 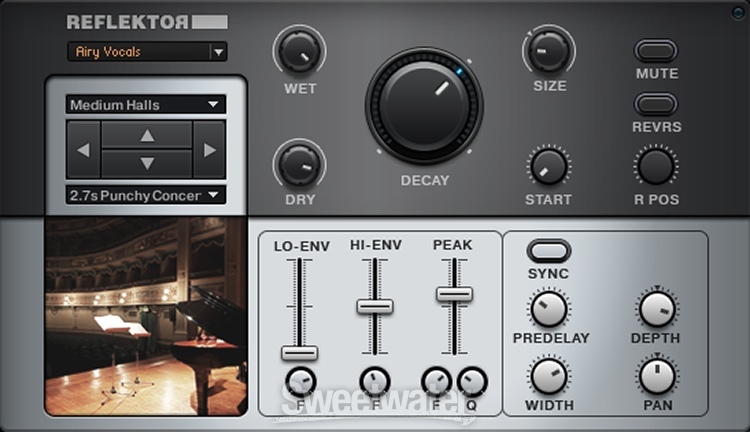 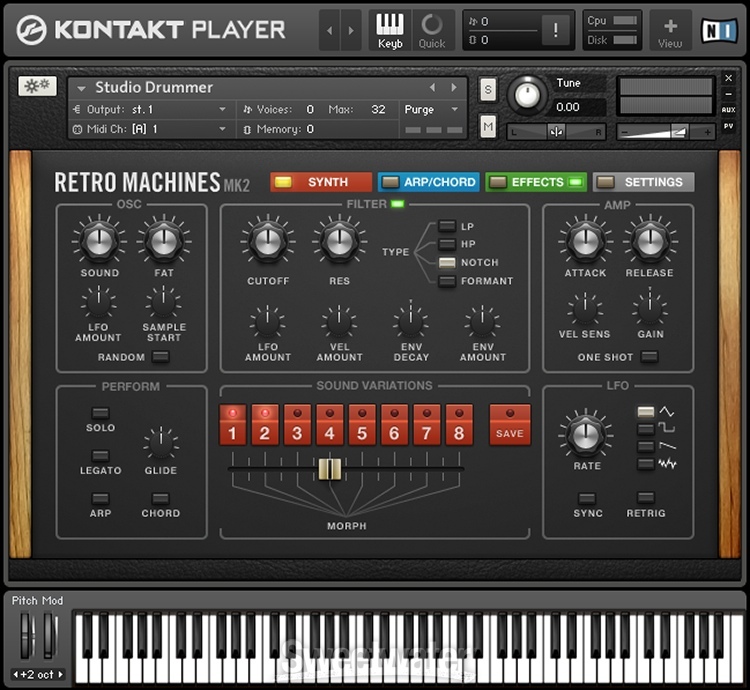 Komplete 8 Ultimate also comes with an impressive collection of studio-style processors as well. 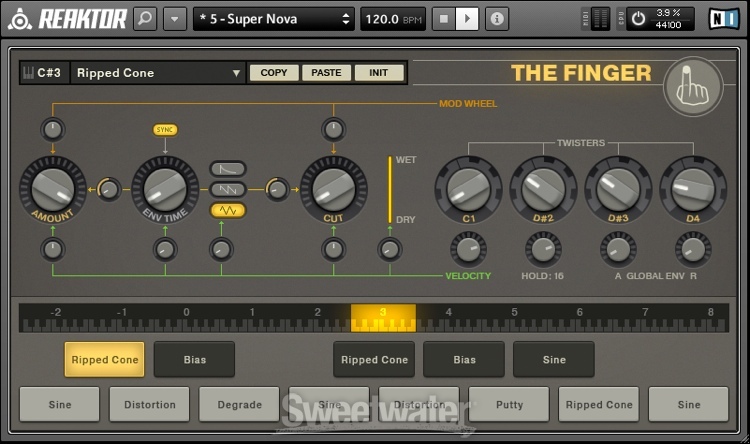 NI's SOLID series EQ, BUS COMP, and DYNAMICS capture the sound of a world-famous British analog console, whereas the VC series compressors give put the most sought-after dynamics tones in your virtual rack. 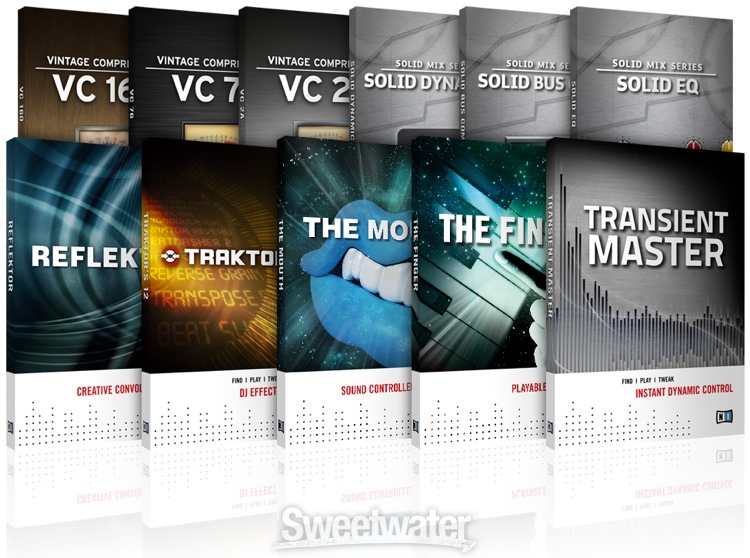 And those are just a few of the amazing virtual processors that come with Komplete 8 Ultimate! 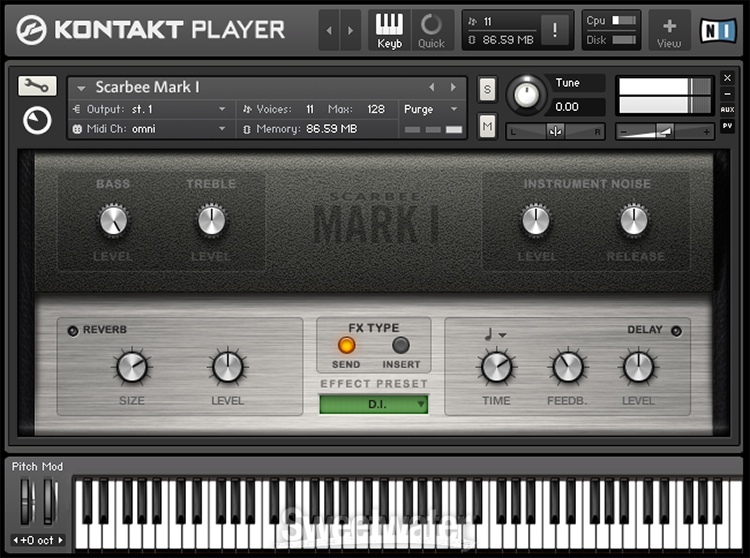 Komplete 8 Ultimate marks the 8th edition of Native Instrument's ever-evolving lineup of premium products. 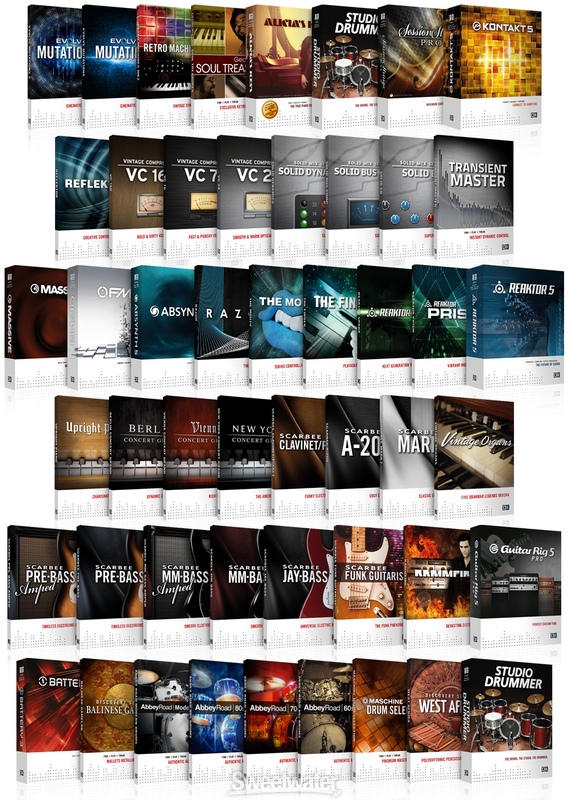 If you've been following NI for years, then you already know how dedicated this company is to raising and re-raising the bar when it comes to virtual instruments and plug-ins. 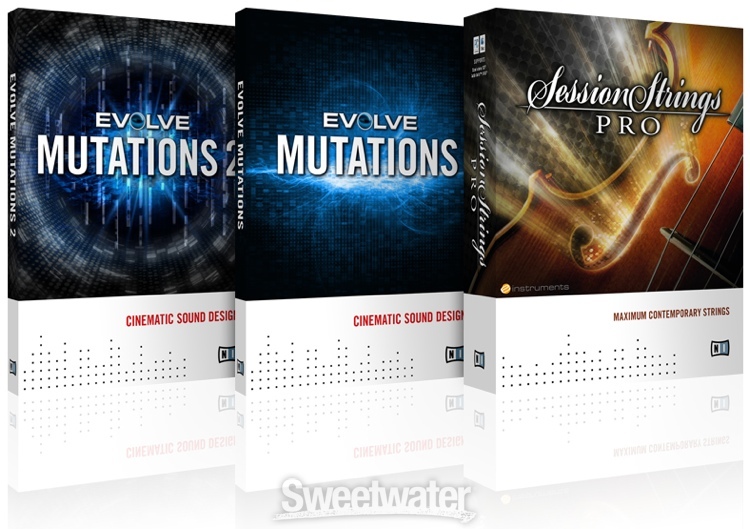 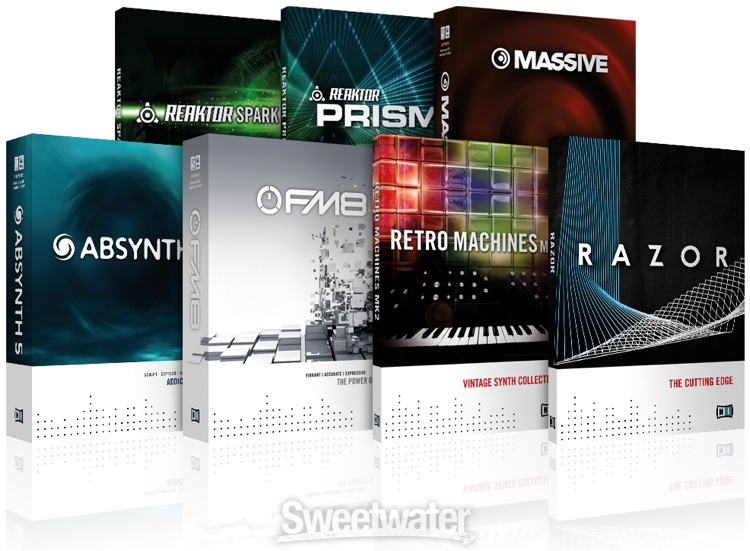 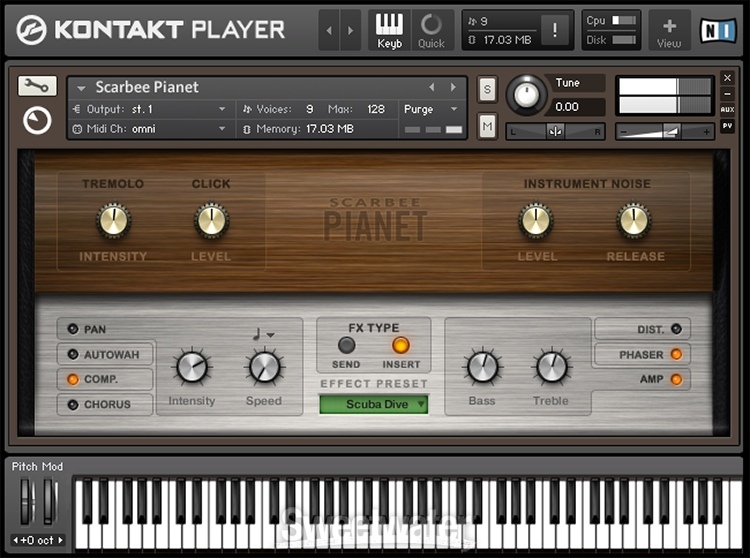 Some of the newest editions to the Komplete lineup include exciting new effects such as The Finger (a fun and innovative stutter performance effect), The Mouth (a next-generation vocoder), and TRANSIENT MASTER (an amazing envelope shaper that's perfect for adding life to flat performances). 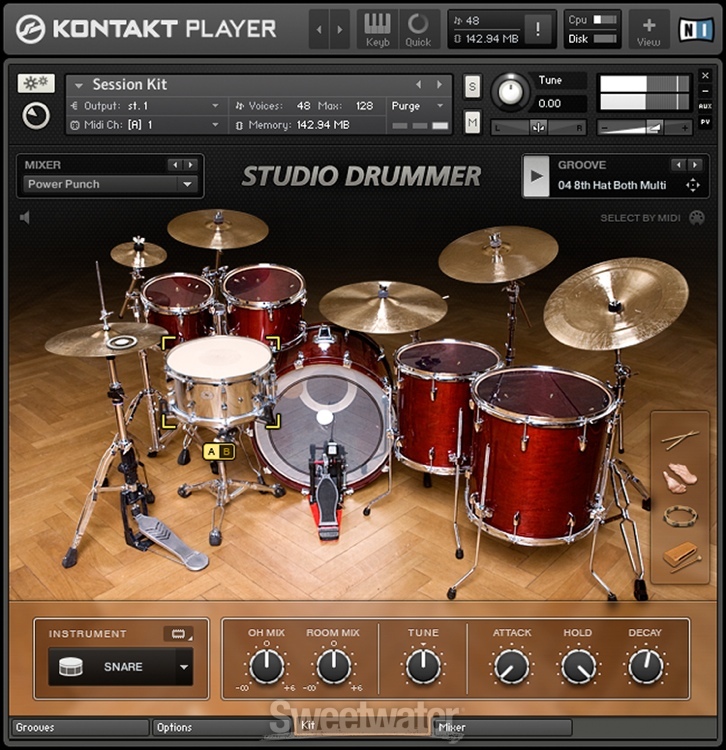 If you own Native Instruments's MASCHINE workstation, all of the wonderful content in Komplete 8 Ultimate becomes instantly available in MASCHINE's powerful KORE-style category browser. 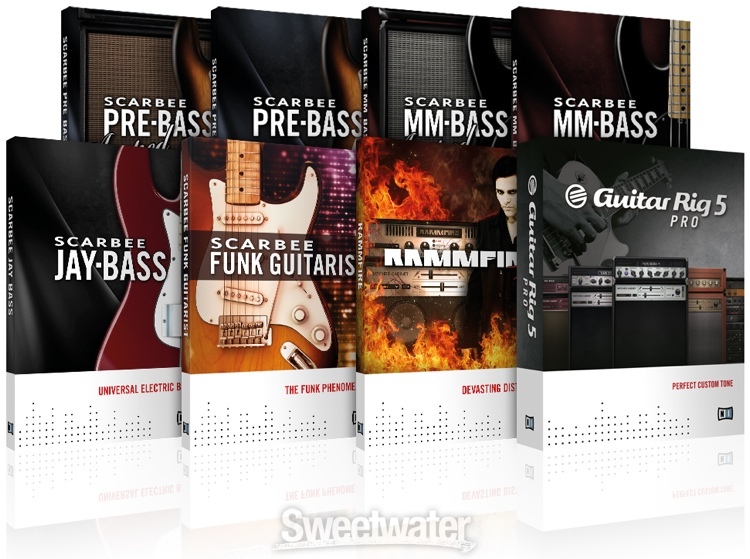 Looking for a dark, acoustic bass sound? 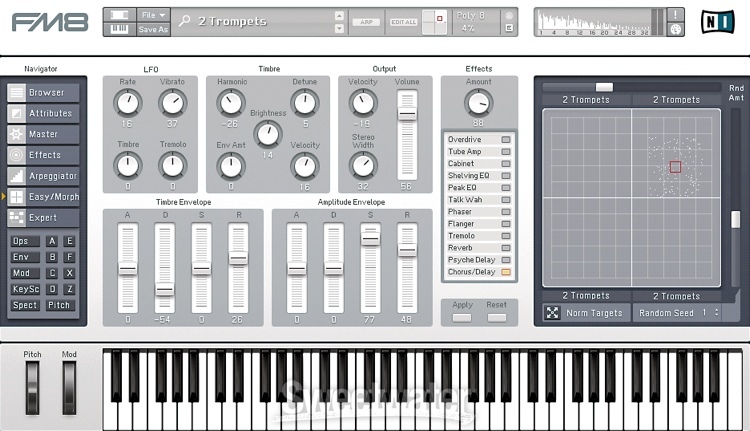 How about a percussive monophonic electronic sound? 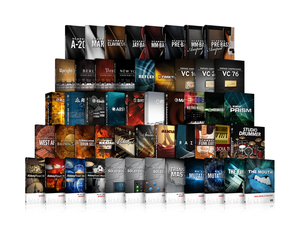 No matter which instrument - MASCHINE lets you instantly call up the perfect sound from anywhere within the Komplete library. 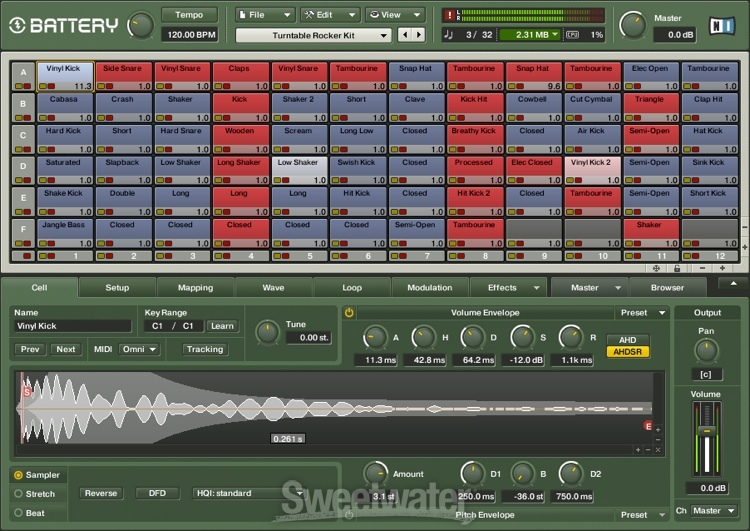 MASCHINE and Komplete 8 Ultimate are any songwriter's dream-come-true! 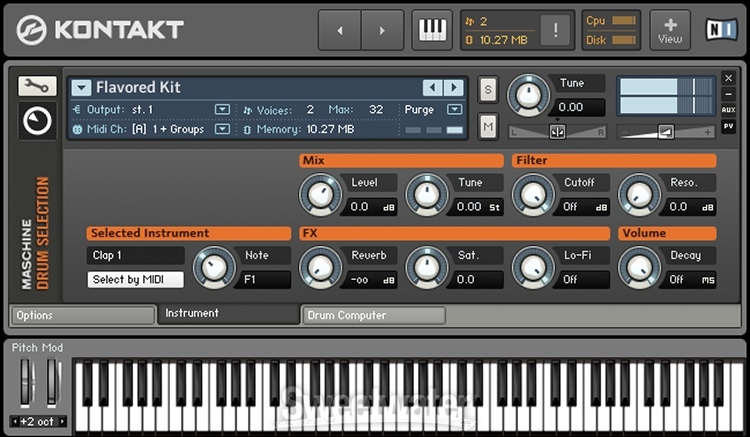 Don't just dream - make the music you've been dreaming about, with Native Instruments Komplete 8 Ultimate! 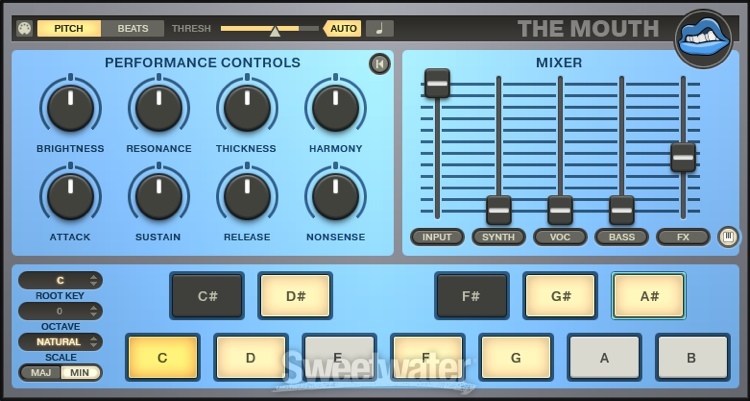 Click Here For Video Demo of Machine At Work (Enter The World of Machine, N-I Web Site).